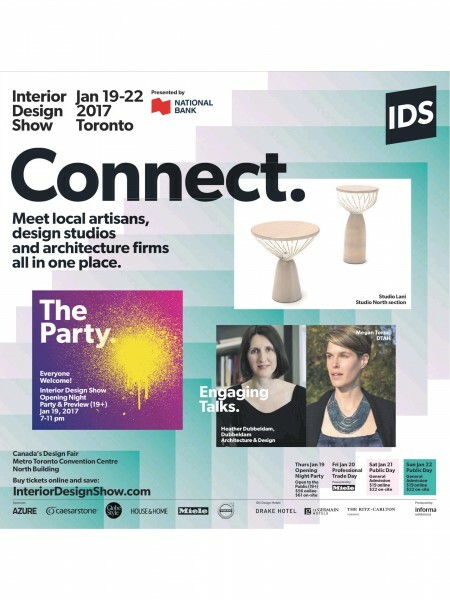 Heather was invited to speak at the Interior Design Show on the main stage for Globe Style Saturday in conversation with Megan Torza, partner at DTAH, and The Globe and Mail architecture critic Alex Bozikovic. As part of IDS’ “Design Unfolded” speaker series, Heather spoke about architectural storytelling and the creative process, to a crowd of a hundred. Thanks to everyone that attended!